Very few people probably knew these album until some years ago, as they went totally unnoticed at the time. Armando Piazza was a singer-songwriter from Naples and released these albums with curious titles on the local B.B.B. label (that also released the Showmen 2 album), selling them by himself in concerts and through magazines. The albums contained acid-psych ballads, all English-sung and mainly based on acoustic guitar but sometime with good use of electric instruments, they're also notable for the help of American musician Shawn Phillips (who lived in Naples for some years) on guitar and bass. A welcome reissue by Akarma couples both albums on a single CD. Both albums are rare to find, especially the first, and have probably been released in very small quantity by the small B.B.B. label. The albums were poorly distributed in shops and were privately sold at the time by Piazza through Ciao 2001 and other magazines. An odd addition concerns the cassette tape version of Suàn (cat.no. NL PP 22), issued with two different covers and that contains che omits the track I met a woman. The second edition is credited to Shawn Phillips and Armando Piazza, and was probably issued later, when Phillips was well known in Italy. 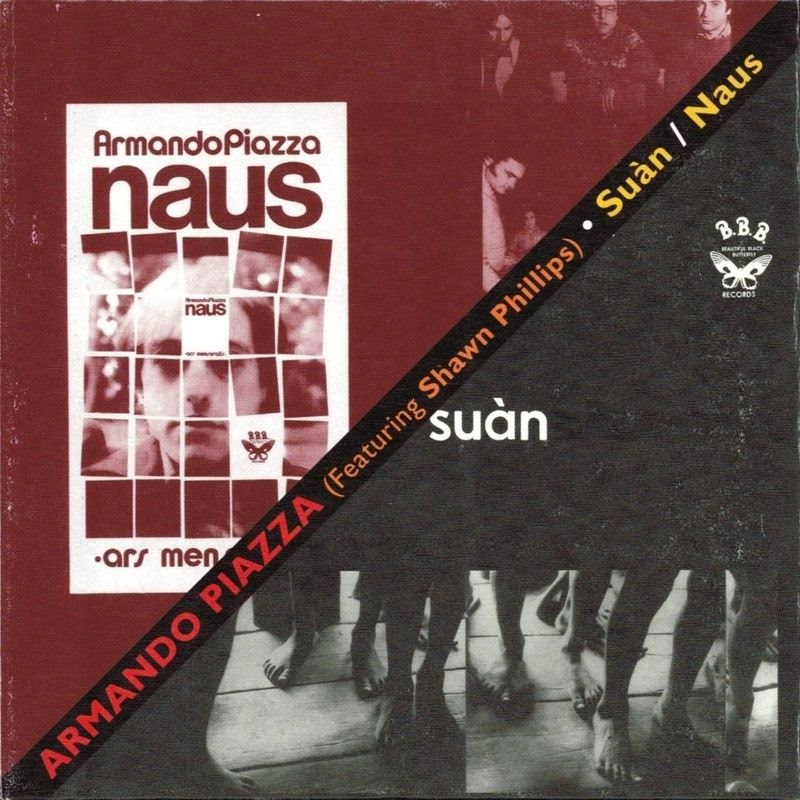 The cover of Suan exists in two versions, the first with the 4 page insert having a white background, the other (apparently the rarest one) with lyrics in white type on black background on a 2-sided insert. The later version also has a difference in the outer cover, where the "moustache" logo and the catalogue number (which are located on the front in the version with the white inner) are on the back cover here.Suàn was reissued on vinyl for the first time in 2008 by the greek label Missing Vinyl (cat.no.MV002), in a nice limited pressing faithfully reproducing the original cover and including the lyric booklet (with white background). Second album Naus (subtitled Ars mensuralis) had a laminated single cover. The catalogue number on both cover and label is BSLB 0011, but on the matrix is BSBL 0011. The difficult numbering system adopted by B.B.B. on their records had even confused them! Damn Right! this one has gone forgotten in time, despite its rarity & the short distribution ; it's one of the Best Psychedelic/ Acid Folk albums to come out of the 70's Italian scene. I highly appreciate it from 1 to 15, as i never get tired from recommending it. it's simply Masterful. I have a 128kbps copy, so i guess this copy here is @ 192 kbps considering the size difference, i'll give it a try right the way, i only hope it's not the same copy as the one i have with an "upscaling" effect.. Thank you very much for sharing & especially for bringing this beautiful Music to light by giving it a space in your big great collection. // To you fellow listener ; Give it a Try,.. please x).